With the way the free agent market has played out, Manny Machado signed an arguably under-value contract after position players reported to Spring Training. Many cite top end free agents like Bryce Harper, Dallas Keuchel, Marwin Gonzalez, and Craig Kimbrel still being on the market as a sure sign there is a problem with free agency. Those making that claim are right, but the problems do go deeper than that. Take for example Jose Bautista. Last year, the Mets literally signed Bautista while he was sitting on his couch. He’d fly to New York, and he would prove himself to still be a capable Major League player. In his time with the Mets, Bautista was an above league average hitter (104 OPS+). In 83 games, he hit .204/.351/.367 with 13 doubles, nine homers, and 37 RBI. He’d play all over the diamond as well, and he would actually play well defensively. Bautista was actually a 1 DRS in 109.2 innings in left. He was serviceable elsewhere with a -2 DRS in right and a -1 DRS at third base. He would show himself to be quite a versatile defender also playing 14.2 innings at first and even an inning at second base. What is interesting is when Bautista was traded to the Phillies, who were still fighting for a postseason spot, Bautista raised his game. In 27 games for the Phillies, Bautista would hit .244/.404/.467 with four doubles, two homers, and six RBI. At this stage in his career, the 38 year old Bautista is no more than a bench or utility player. He is a power source off your bench. As he showed last year, he still has something in the tank. Really, in a normal free agent market you would see a team signing him to a minor league deal with an invitation to Spring Training. Remember, Bautista showed last year he was not above that. He signed such a deal with the Braves, and he spent time in the minors to prove himself as a third baseman. It didn’t work there, but it did with the Mets and the Phillies in a different role. Bautista could work well for another team in 2019 if just given the chance. From a Mets perspective, you could see why they haven’t brought him back. They have Gregor Blanco and Rajai Davis fighting for outfield spots. Younger players like J.D. Davis and to a certain extent Dominic Smith are fighting for a Major League bench spot. There’s also Dilson Herrera, Gavin Cecchini, Will Toffey, Luis Guillorme, and David Thompson who could be fighting for a role not just for the Major League team but also the Syracuse Triple-A team. To that extent, you understand the Mets not bringing back Bautista. But that’s just the Mets. What are the other 29 Major League team’s excuse? While it may sound strange now, back in 2004, the Mets actually traded away Jose Bautista to try to make the postseason. As absurd as that may sound, the Mets obtained him for just Justin Huber, and he was then flipped for Kris Benson. As odd as the circumstances surrounding his arrival and departure for the Mets might’ve been in 2004, his story nearly 14 years later might top it. After a storied Blue Jays career, the best Bautista could muster last offseason was a minor league deal from the Braves to return to third base. After 12 Major League games with the Braves, he hit .143/.250/.343, and he would be released. On May 22nd, Bautista was sitting on his couch in Tampa when the Mets came calling. A team once so blessed with outfield depth was in desperate need for an outfielder, and Bautista was the best of the lot. On that day, Bautista went from his couch to being instead in the starting lineup. Bautista was signed as the Mets were hoping to catch lightning in a bottle. The team who was once 12-2 was 24-19 and trailed Bautista’s former team by 3.5 games. Well, since Bautista was signed, everything fell apart to the point the Mets were sellers at the trade deadline. While there were many people to be blamed, Bautista wasn’t one of them. In fact, the Mets did catch lightning in a bottle with Bautista. In that horrid June when the Mets went 5-21, Bautista was great. In 25 games that month, Bautista hit .250/.434/.536 with seven doubles, three homers, and 11 RBI. It was a signature moment for a 15 year veteran who had a number of them in his illustrious career. Fourteen years after having pass on by, the Mets got a chance to see Bautista put on their uniform. Bautista was willing to contribute to the Mets in any way they asked, and contribute he did. He’s now joining Asdrubal Cabrera in Philadelphia in the hopes of another magical postseason run with more epic bat flips. Despite his destination, it will be fun to see him get that chance. We got a sense early tonight just how much Jacob deGrom wants this Cy Young Award with him ramping it up to 100 MPH to strike out Javier Baez to end the first. Thus began another magical night of watching deGrom pitch. The Cubs were doing all they could do to get to deGrom. In fact, they found a way to get their leadoff hitter on in the fifth, sixth, seventh, and eighth innings. deGrom responded nearly each time with a combination of guile and defense. What’s interesting about that was deGrom slipped attempting to fielding a Baez infield single. He was initially limping, but he shook it off much like he shook off base runners all night long. The real threat against deGrom came in the seventh, and the Cubs finally broke through with deGrom and the Mets getting some tough luck. After a Kyle Schwarber leadoff single, Albert Almora, Jr. laid down a bunt. deGrom pounced on it and got Schwarber at second. Ben Zobrist, who entered the game 1-for-10 against deGrom, hit a ball that went under Jay Bruce‘s glove to set up runners at the corners. David Bote hit a sacrifice fly to center to bring home the Cubs first run of the game. To be fair, while Bruce’s inability to make a play at first helped lead to a run, the Mets did some make some nice plays in the field behind deGrom, especially Brandon Nimmo and Austin Jackson. Still, when you play players out of position and when you give deGrom little to no margin of error, these types of plays get magnified. After the Bote sacrifice fly, the inning was not over. After Bote was Mets killer Daniel Murphy came to the plate. In a tough seven pitch at-bat, deGrom finally won the battle and struck out Murphy to escape the jam. After the string of leadoff hitters reaching and with that high stress inning, you’d understand Mickey Callaway pinch hitting for deGrom with two outs in the top of the eighth. He didn’t. For what it’s worth, deGrom was the only Met to get an RBI as the team continued to shoot itself in the foot trying to score runs for deGrom. In the first, the Mets couldn’t bring Amed Rosario home after he hit a leadoff double off Cole Hamels. In the third, the Mets tried to make something happen with Rosario and Jeff McNeil trying to execute a double steal. While it was initially ruled Rosario evaded Bote’s tag, he was ruled out on review. The inning sputtered from there. Both rallies were killed with a Michael Conforto strikeout. For his part, Conforto had a very tough night at the plate going 0-for-4 with three strikeouts. In total, he’d leave eight runners on base. In the fifth, deGrom singles to short and Rosario bunted his way on. McNeil then couldn’t deliver the two out hit. Finally, the Mets broke through in the sixth. As alluded to earlier, deGrom delivered the big hit with a two out RBI infield hit. In the seventh, the Mets had a golden opportunity to push across an insurance run. McNeil hit a ball which looked out. Unfortunately, it got caught in the wind and stayed in the park. Counting on nothing, McNeil busted it out of the box with a leadoff triple. Jackson then lined out to Baez, and Conforto lined out to Rizzo. Todd Frazier was intentionally walked and stole second, but it was for naught as Bruce struck out to end the rally. In the eighth, the Cubs once again tried to crack deGrom. Rizzo singled, and Heyward walked to start the inning. Then like he had all night, deGrom struck out Baez. He then grabbed a comebacker from Victor Carantini to start the inning ending 1-6-3 double play. All told, deGrom’s final line was 8.0 innings, eight hits, one run, one earned, one walk, and 10 strikeouts. All that was good for was a no decision. He now has 19 quality starts which ties him with Tom Seaver for most by a Met in one season. He also has 24 straight starts allow me three or fewer runs which ties him with Dwight Gooden. Despite him reaching Seaver and Gooden heights, deGrom walked away with a no decision. With the rain delay which came in the top of the tenth, the game was a microcosm of deGrom’s season. Game Notes: Before the game, Jose Bautista was traded to the Phillies for a player to be named later or cash. Despite the Phillies claiming Jose Bautista off waivers, the Mets risked getting a deal getting nixed due to injury by putting him in the lineup. The reason for the decision was Bautista’s numbers against Jon Lester. Essentially, the Mets risked a possible piece for the future to win a meaningless August game. Perhaps inspired the Mets got off and running. Amed Rosario hit a single on the first pitch of the game, stole second, and scored on an Austin Jackson RBI single. In what would become a theme for the night, Noah Syndergaard immediately away the lead starting with a Daniel Murphy leadoff double. Murphy did not seem as if he was initially going to second, but with Michael Conforto not fielding it cleanly with the backhand, Murphy took the extra base. He’d score on an Anthony Rizzo RBI double. To his credit, Syndergaard got out of that jam partially because he picked Javier Baez off first, and the rundown was executed well enough to prevent Murphy from scoring from third. That was a moot point after the Rizzo double. Just your typical *squints, double-checks notes* 472-FOOT CRUSH JOB from @mconforto8. The second inning rally began anew with Kevin Plawecki drawing a two out four pitch walk. Surprisingly, Lester then walked Syndergaard leading to Rosario hitting an RBI single to give the Mets a 3-1 lead. It was a very uneven game for Plawecki. Behind the plate, he struggled, but at the plate, he excelled. In the third, Syndergaard seemed close to working his way around a Javier Baez leadoff double. With runners at the corners and two outs, Syndergaard threw a pitch in the dirt. Rather than getting down to block the call, Plawecki tried to backhand it leading to a wild pitch and a run scoring. Subsequently that at-bat, Syndergaard threw one in the dirt, and Plawecki didn’t get down quick enough. Fortunately, Jason Heyward didn’t move up because he lost track of the ball. After a Willson Contreras infield single, Mickey Callaway ordered an intentional walk to load the bases. With two outs and Lester up, a career .092 hitter at the plate, it should have been inning over. Instead, Syndergaard threw a fat pitch, and Lester hit a two RBI single giving the Cubs a 4-3 lead. In total, Syndergaard pitched six uninspiring innings allowing four earned on nine hits with three walks and six strikeouts. Maybe it’s all the missed time, but Thor is not Thor right now. With the much improved Mets bullpen, it seemed like the Mets were going to actually have a chance to pull this one out. Unfortunately, Jerry Blevins would have his first poor outing on over a month.
.@Cubs challenge call that Anthony Rizzo hit a foul ball in the 7th; call overturned, fair ball. Ben Zobrist, who has really become a Mets killer, gave the Cubs the lead with an RBI double. Heyward singled putting runners at the corners with no outs leading to Callaway bringing in Drew Smith. Smith was able to navigate his way out of that jam by yielding just an RBI groundout to Contreras. Daniel Zamora pitched the eighth, and he blew through the first two hitters he faced. Then his seemingly unhittable slider was hit by Rizzo for a home run giving the Cubs a 7-4 lead heading into the ninth. Despite going 0-for-3 after being put in the lineup for his great numbers against Lester, Bautista would draw a leadoff walk off Pedro Strop. Predictably, Jose Reyes didn’t come through instead hitting into a fielder’s choice. That didn’t stop the Mets from loading the bases with one out. With the bases loaded, the Cubs went to Jesse Chavez for the save. He dominated Rosario getting him to strike out. Chavez would then strike out Jackson on a couple of dubious strike calls, especially strike three, to end the game. At the end of the day, Syndergaard looked less god than human, and Bautista went hitless in a game he played due to his bat. Game Notes: Rosario was picked off by Lester for venturing way off first. Jeff McNeil‘s 11 game hitting streak ended with him popping out in a pinch hitting appearance. The Mets are so far under .500 that they can’t even get in the mix for what is a wide open National League Wild Card. They’re not even following the Nationals lead who traded off Daniel Murphy and Matt Adams at the same time the Mets are playing Jose Bautista and Austin Jackson everyday. Given the record and the poor direction of this organization, it becomes increasingly difficult to find reasons to watch. Will Jacob deGrom finish the season strong enough to the point where he overcomes everything to become the Cy Young winner with the fewest wins from a starting pitcher? How will the Mets handle first base with Jay Bruce, Wilmer Flores, and Dominic Smith? Will the team actually call up Peter Alonso? Is Zack Wheeler for real, or is the guy we have known him to be during his Mets career ever going to show up again? Can Kevin Plawecki be an everyday catcher? With the Devin Mesoraco neck injury we should finally find out. Which one of the young relievers are for real? So far, the answer appears to be Drew Smith and Daniel Zamora, but maybe just maybe Tyler Bashlor can enter the mix as well. How much progress can Amed Rosario make on both sides of the ball? Will Michael Conforto continue this second half surge, or will he regress as his shoulder presumably tires? Is Jeff McNeil really the next Daniel Murphy? More than any of this, we wait for baited breath to see if David Wright will actually take the field for the Mets again. If he does, that will be the greatest reason of all to watch the Mets again this year. Well, today was a day the Mets pretended they were 15 games over instead of 15 games under .500. With the Mets refusal to put Devin Mesoraco and his injured neck on the disabled list, the team called up Tomas Nido from Double-A to serve as a back-up to Kevin Plawecki. With Jay Bruce having a bobble head day on Saturday and his finally eligible to come off the disabled list, this meant the Mets needed to either demote or DFA two players. Naturally, the Mets opted to demote Jack Reinheimer despite his having a batting average nearly 80 points higher than Jose Reyes. The other player was Dominic Smith, who had gone 2-for-6 with a double, homer, and two RBI in the bizarrely limited playing time he had been given during this all too brief call-up. To make matters worse, the Mets started Bruce in the outfield with Austin Jackson and Jose Bautista. Remember Jackson and Bautista are Mets because no one else wanted them. The Mets called these 30+ year old impending free agents from their homes because other teams were paying them not to play for them. Naturally, the Mets decided to play all three of them over Michael Conforto. To top it off, Jason Vargas started the game instead of Corey Oswalt because we need to find out about the 35 year old left-hander and not the 24 year old prospect. This is the squad the Mets opted to go with to face off against the Washington Nationals. That Nationals team they played just traded away Daniel Murphy and Matt Adams as they admitted to themselves their .500 club was not making the postseason. Basically, this set the stage for a game between two teams playing out the string, and it showed. In the first, Amed Rosario hit a leadoff single off Gio Gonzalez, and he would steal second. Jeff McNeil pushed him over to third on a groundout to the right side, and Rosario would score on a Wilmer Flores RBI single. Sadly, that was all the run support Vargas would need as the Nationals really didn’t show up. Vargas pitched six shutout innings while allowing three hits, walking none, and striking out eight. In the entire game, the Nationals would have just four hits with no one reaching third. Seth Lugo pitched two innings, and Robert Gsellman earned his eight save of the season in the Mets 3-0 victory. Those other two runs came courtesy of a Bruce two run homer. It was his first homer of the year at Citi Field. Given how the Mets are dedicated to this 30+ year old veteran movement, we should see Bruce gets more chances to add to that home run total. Overall, it was just astonishing to see how a Mets-Nationals game has zero juice. Both teams are very disappointing, and when they play games like this, it’s completely pointless. Game Recap: Before the game, Mickey Callaway said Bruce could be the first baseman for the Mets next year. That would require Bruce getting time there next year, which all but eliminates the chances we see Peter Alonso this year or Smith again (at least in terms of his getting extended playing time). With each start he makes, it becomes readily apparent if Jacob deGrom wins the Cy Young this season, he is going to do so with the lowest win total ever compiled by a starting pitcher. Looking at his stats, you really have no idea how he could be just 8-8. However, if you watched yesterday’s game, you know exactly why his record is that poor. To no one’s surprise, deGrom began the game matching zeros with Madison Bumgarner in the first two innings. However, the Giants would break through in the third. After Steven Duggar earned a leadoff walk, he would steal second. Devin Mesoraco would get out of his croutch slower than an old man reaching for a walker, and he would make a lollipop throw to second Travis d’Arnaud thought was bad. Duggar found himself on third after a Joe Panik groundout, and he would score when Mesoraco just missed a pitch, which would go back to the backstop. Now, Home Plate Umpire Tony Randazzo was horrendous on the day, but despite Mesoraco’s complaints otherwise, Evan Longoria did not foul tip that ball. No, Mesoraco, who is showing himself to be a really poor catcher, flat out missed it. 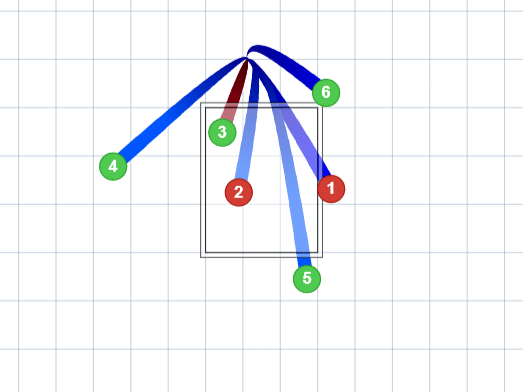 Mesoraco also failed to frame any number of pitches which would aid Randazzo in being a horrendous umpire. Perhaps because he was frustrated, deGrom would walk Hundley, and then he would allow an RBI double to Bumgarner. At that point, it was 2-0 Giants, and with Bumgarner pitching, there was little to no hope the Mets would win this one. Overall, this was an off-day for deGrom as he needed 108 pitches to get through six innings, and he would have a season high four walks. Of course, these struggles are indicative of just how great deGrom has been all season. In fact, a struggling deGrom limited the Giants to two runs (one earned) on four hits while he striking out 10. As good as he was, Bumgarner was more dominant against a Mets lineup which featured Jeff McNeil batting sixth and Michael Conforto batting eighth. The Mets would not even threaten Bumgarner until the fourth. There were two and two out, and McNeil hit a hard liner, but it was right at Panik. It seemed as if the Mets may finally break through and get deGrom off the hook in the seventh. Todd Frazier led off the inning with a homer making him the first ever Met to homer off Bumgarner at Citi Field. Jose Bautista would get hit by a pitch, and McNeil would single. The rally would sputter as Kevin Plawecki, who had come on for an injured Mesoarco in the sixth, hit into a 6-4-3 double play. That brought up Conforto. He battled back from 1-2 to draw a full count in a nine pitch at-bat. On the ninth pitch, Bumgarner beat Conforto inside with a well placed fastball to end the rally. Given how Gary Cohen, Keith Hernandez, and Ron Darling were harping on the false narrative Bumgarner ruined Conforto’s 2016 season, we should see more of the same for any poor play Conforto makes the rest of the year. In the bottom of the ninth, the Mets had a chance to rally back from 3-1 against Tony Watson, who they had already gotten to in the series. The only problem was Tony Randazzo wasn’t going to have any of it. It appeared Wilmer Flores drew a four pitch walk to start the ninth. Instead, Randazzo called an obvious ball a strike. Flores then went the other way as he has been doing so well lately only to line it directly at Panik. Like with deGrom earlier in the game, Flores had some choice remarks for Randazzo, who, again, was terrible. The game would come down to McNeil, who both Randazzo and the third base umpire ruled did not check his swing leading the Mets and perhaps more importantly deGrom to a loss. Looking at this game, you really see just how much deGrom has working against him as he tries to win games. Ultimately, if he does not win the Cy Young, there should be a line of people offering apologies. On that line, we should see Mesoraco and Randazzo. Game Notes: Dominic Smith sat against Bumgarner the day after hitting a home run. The Mets are now 19-41 in games Mesoraco has played. Since the All Star Break, the Mets are playing much better baseball. In fact, the team is actually two games over .500, and they have won 12 of their last 19 games. One of the major reasons for the improved play is the Mets are finally playing their talented younger players, and they’re taking advantage of their opportunity. That second inning homer did not end the rally. Jack Reinheimer hit a two out single, and Jose Bautista, who leadoff for some reason, reached on a Brandon Crawford error. Jeff McNeil then drove home Reinheimer with an RBI single. With that single and his first inning triple, McNeil reached base safely in seven consecutive at-bats. What’s amazing about that first inning triple is McNeil didn’t score even with Todd Frazier reaching on a Crawford throwing error. Speaking of Frazier, he would drive home the third run of the inning on a ground rule double. In this 2016 Wild Card Game rematch, Noah Syndergaard would give back two of the runs right away. After consecutive singles and Kelly’s sacrifice bunt, Syndergaard got Steven Duggar to hit an RBI groundout. Joe Panik then hit a two out RBI single to pull the Giants to within a run. Syndergaard would shut the Giants down from there. In six innings, he would throw 101 pitches limiting the Giants to two runs on five hits while walking one and striking out five. With Bautista hitting a solo homer in the fourth, he’d depart with a 4-2 lead. Mickey Callaway then put in Drew Smith for what seemed like his first high leverage situation. First batter he faced, Austin Slater, hit a homer. With one out in the inning, he’d hit Chase d’Arnaud with a pitch before Duggar popped out on a bunt attempt. Callaway then went to Jerry Blevins, who retired Panik to get out of the jam. Robert Gsellman was dominant in the bottom of the eight striking out two of the three batters he faced. Callaway tabbed Daniel Zamora to get Crawford to start the ninth before giving the ball to Paul Sewald, who got the final two outs to earn his first career save. With that, the Mets won 5-3. Who knew that this team could win young players getting playing time and a chance to succeed? Game Recap: With the win, the Mets have ensured at least a series split. The Mets have now either won or split their past five series. The Mets had multiple chances this season to call Jeff McNeil up to the majors, and yet, time and again, the Mets opted to go with players like Jose Reyes instead. Perhaps, the Mets did not give McNeil his chance because they were not sure his incredible season in the minors would translate to MLB success. So far, it has. In tonight’s game, McNeil was at the center of both Mets rallies with him going a perfect 4-for-4 with two runs, a double, and an RBI. The first rally started when McNeil hit a leadoff single against Giants starter Chris Stratton. Wilmer Flores would go the opposite way and drive a double to right field. McNeil scored on a Michael Conforto sacrifice fly, and Flores scored from second on an Austin Jackson RBI single. Jackson would move to second on Hunter Pence‘s their home, but the Mets could not bring him home. Still, with the two runs scored, the Mets tied the score and got Steven Matz off the hook. Fortunately, Matz would settle in, and he would not allow another hit in his five innings pitched. With this being his second start since coming off the disabled list, Matz was done after five innings and 87 pitches. Corey Oswalt, who was recently demoted to the bullpen, relieved Matz, and he would pitch three terrific scoreless innings allowing just one hit. Not only would he pitch well, but he would also pick up his third win of the season. Oswalt got the win because the Mets offense jumped all over Tony Watson starting with a Reyes triple off a ball Pence just could not field. After Todd Frazier couldn’t hit one deep enough to score Reyes, and Amed Rosario struck out, the game was on McNeil’s bat. McNeil jumped on the first pitch, and much like Flores did in the previous inning, he hit an opposite field double. The double easily scored Reyes giving the Mets a 3-2 lead. The opposite field three run homer gave the Mets a 6-2 lead. Seth Lugo pitched the ninth, and he yielded a run after Jose Bautista couldn’t quite get to an Austin Slater liner. Lugo would get the next batter to close the book on the 6-3 win. In the end, this was a game won because McNeil is a professional hitter who delivered in two big spots. It makes you wonder how different things would have been had the Mets given him a chance when they first needed him. Game Recap: 2015 NLCS MVP Daniel Murphy was traded by the Nationals to the Cubs as the Nationals have begun selling what they can.